Dates are also capitialized. 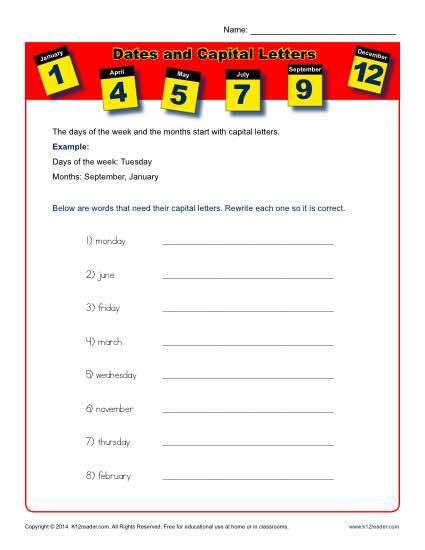 In this worksheet your student is asked to rewrite some months and days using capital letters. He’ll also practice spelling some of those tricky words, like February! While it’s compatible with Common Core Standards for 1st grade Language, other students may also find it beneficial.